Summer sun, chilled, white wine, and a gorgeous fianc . Nothing could upset pure bliss ... Right? 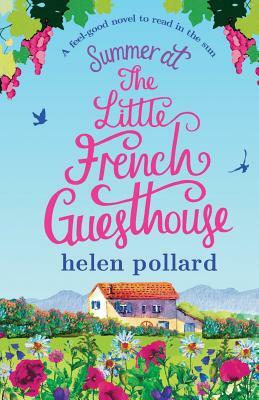 Emmy Jamieson loves her new life in the gentle hills and sunflowers of the lush French countryside, managing La Cour des Roses, a beautiful, white stone guesthouse. With marriage to caramel-eyed Alain just round the corner, things couldn't be more perfect. The odd glass (gallon) of wine dulls the sound of Emmy's mum in full motherzilla-of-the-bride mode, and the faint tinkling of alarm bells coming from Alain's ex are definitely nothing to worry about. Guesthouse owner Rupert and a whole host of old and new friends are there to make sure nothing gets in the way of Emmy's happiness.